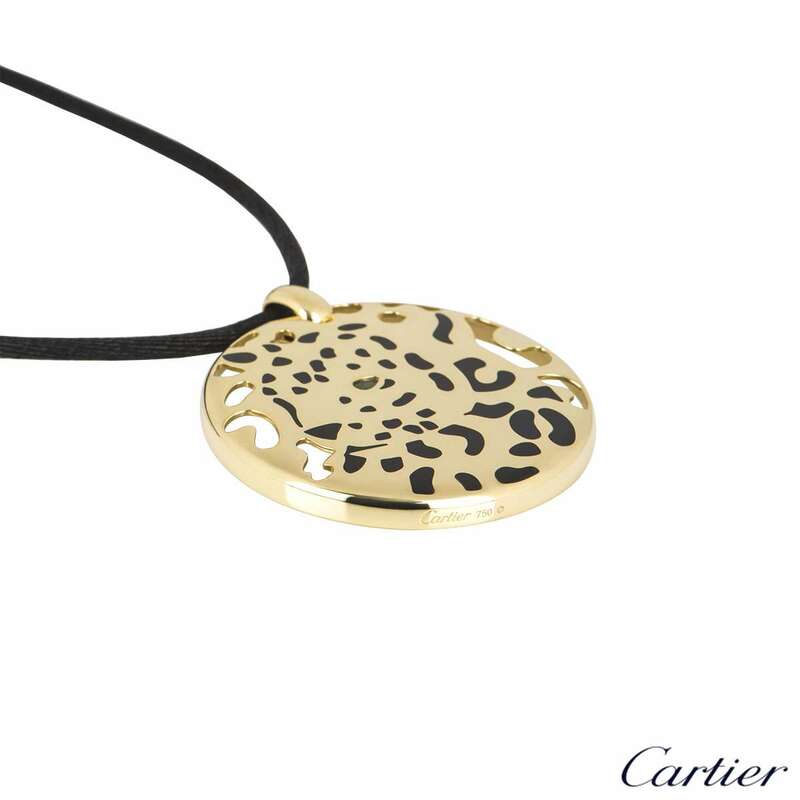 A stunning 18k yellow gold Cartier necklace from the Panthere collection. 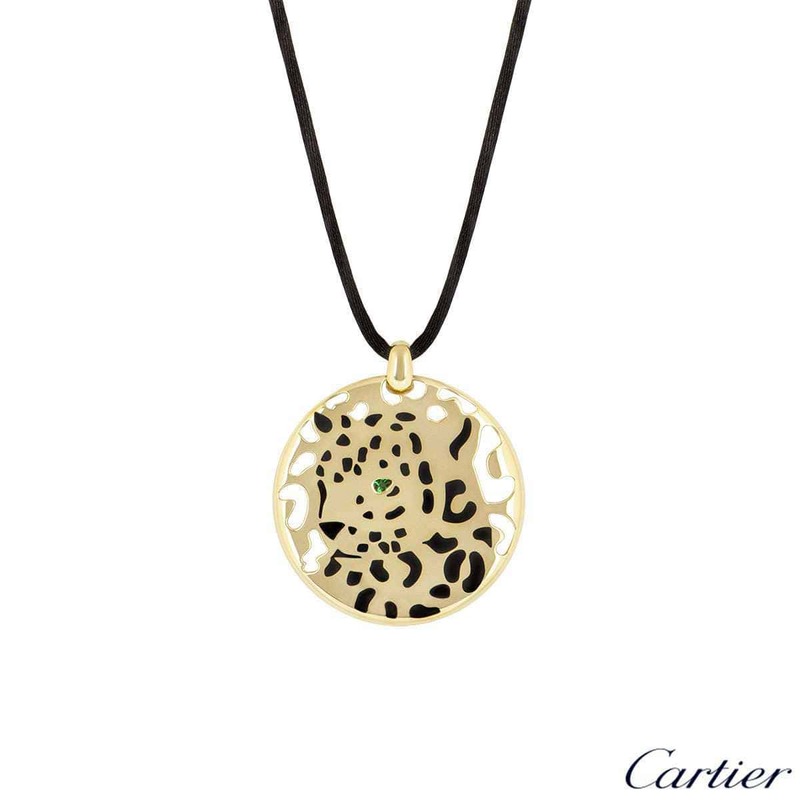 The necklace features a circular motif with a panther in the centre shaped from black lacquer, complete with a single tsavorite garnet as the eye. 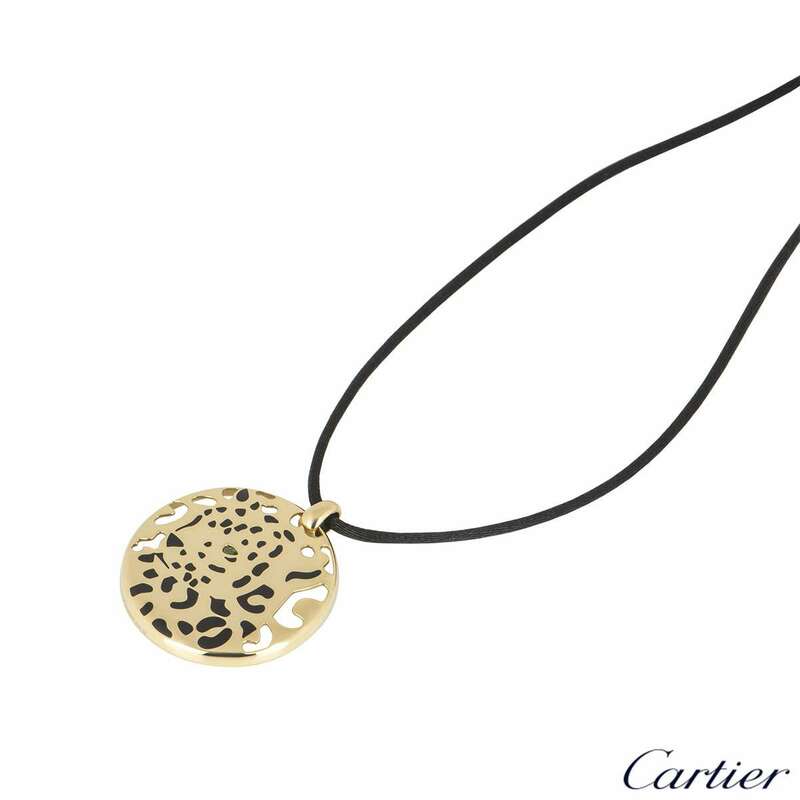 The circular motif measures 3.8cm in diameter and comes on a 24 inch black silk cord, complete with yellow gold terminals. 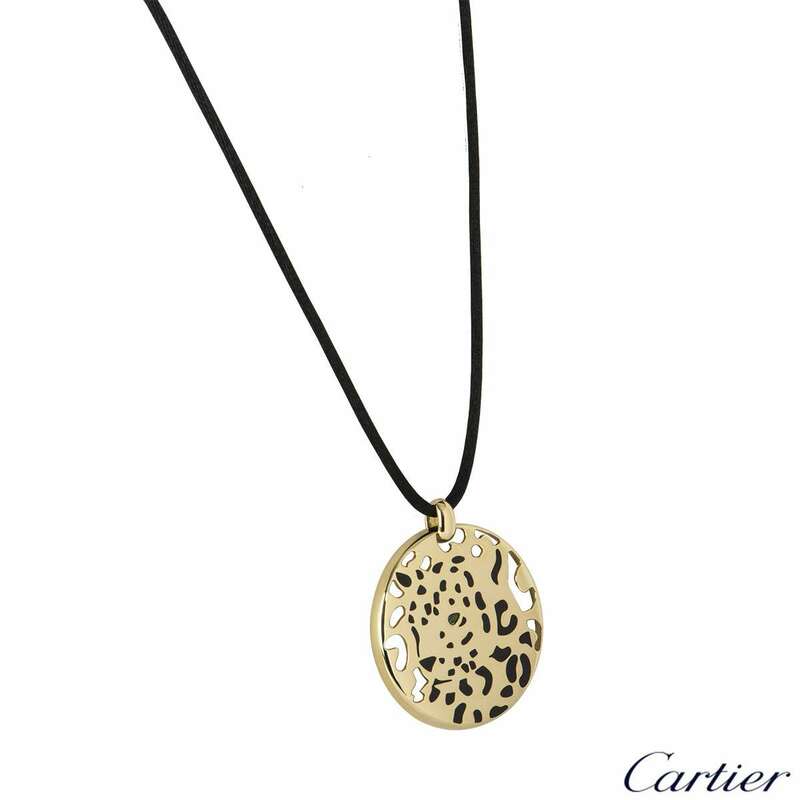 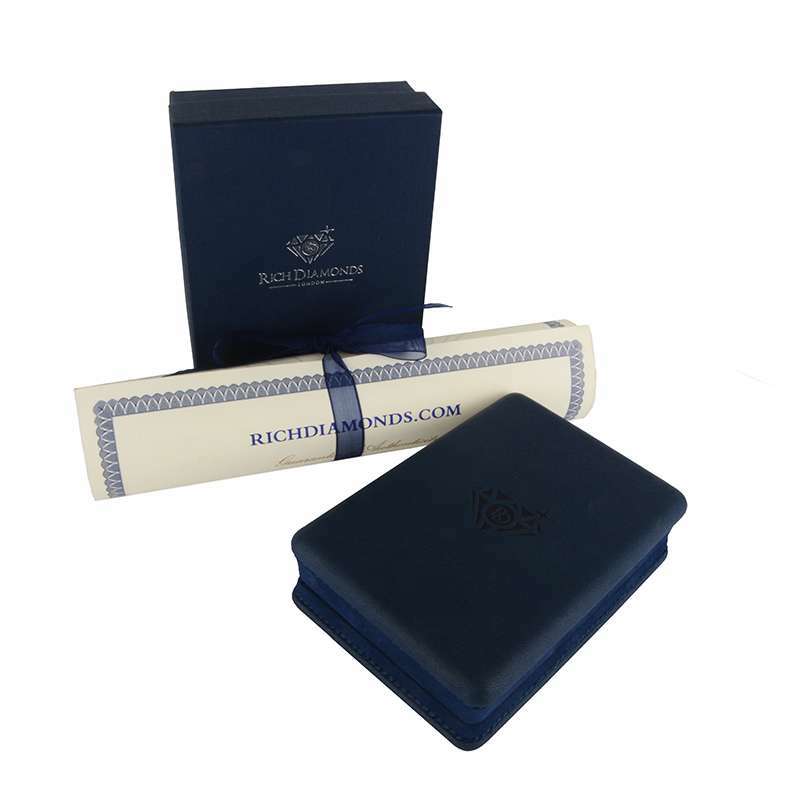 The necklace has a gross weight of 17.12 grams.